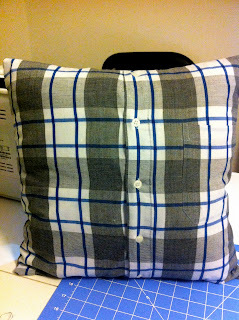 You can easily create modern shirt pillows from your worn out dress shirts. 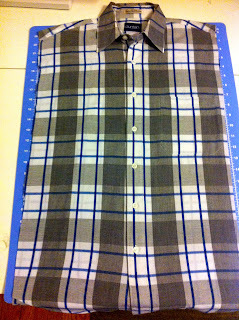 I wanted to save some of my grandpa's shirts to recycle as family heirlooms. 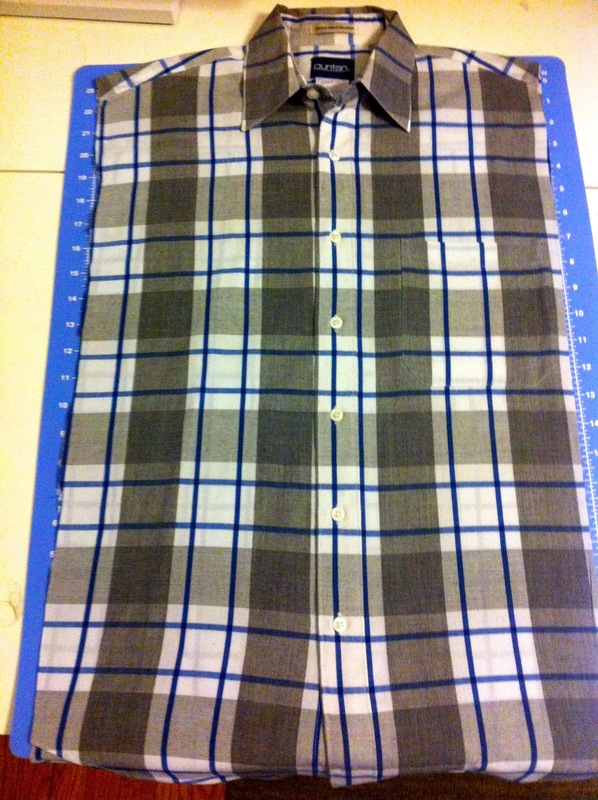 This project took about 15 minutes. First, decide on what size you'd like your pillow. 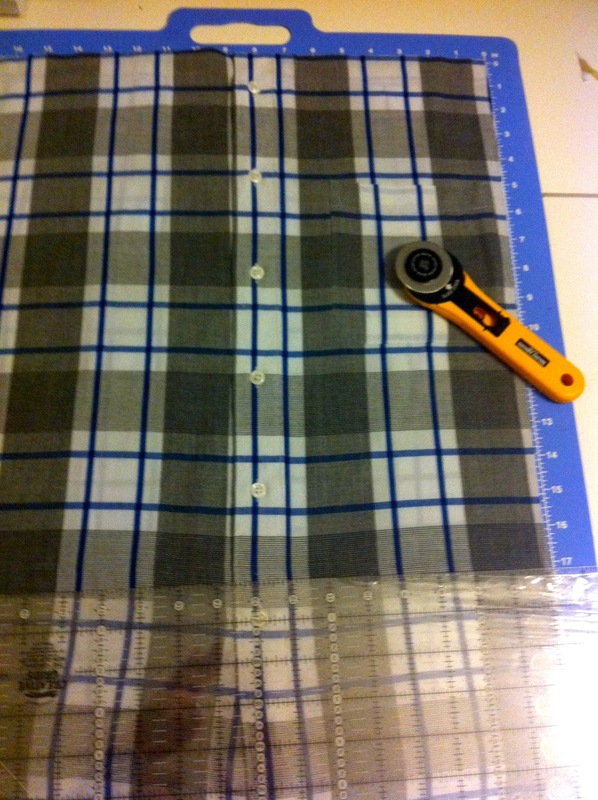 I want my pillow 16" x 16" so I had enough clearance to remove the sleeves. 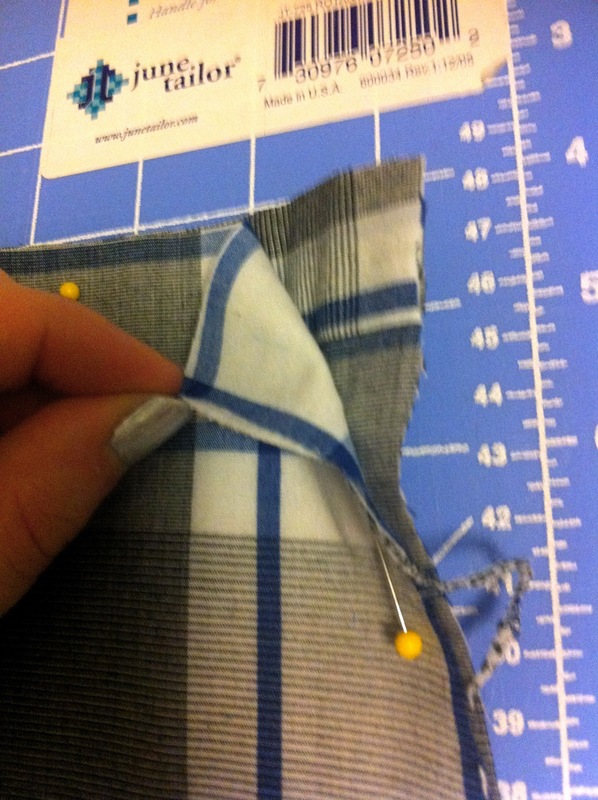 Next, cut your pieces with a 1/2 inch seam allowance on all sides. 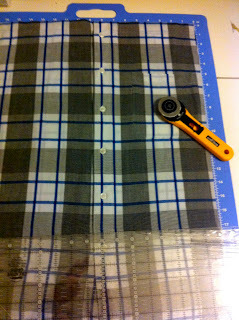 I cut my pieces to 17" by 17"
Pin your pieces with the right sides facing each other and sew all four sides. 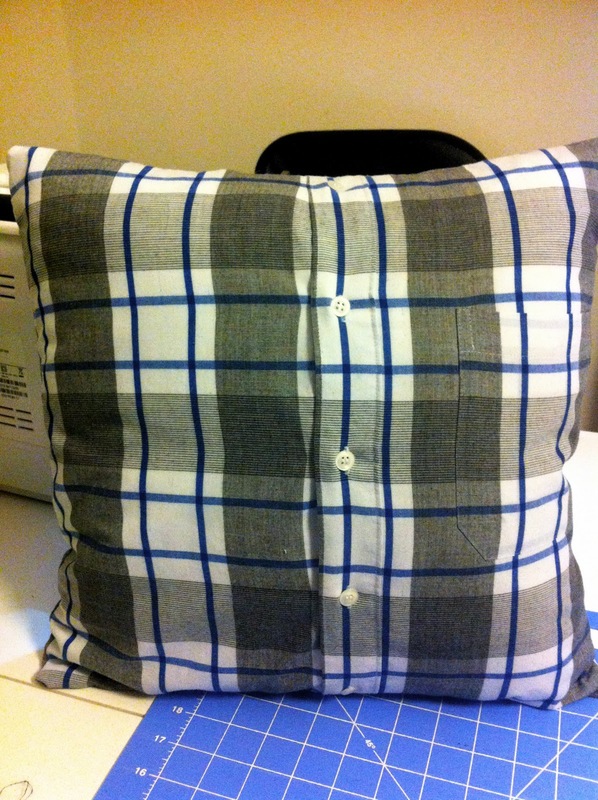 Since your shirt has pillows you don't need to worry about leaving any gaps to turn inside out. Fold inside out by unbuttoning your shirt and slide in your pillow.